Welcome to Tri Valley Mobile Notary-- your Full Service Notary Public of the Tri Valley Area-- "Where the customer defines convenience". We at TVMN focus on meeting your Notary needs in the most convenient manner possible. Mobility makes the Notary process as simple as placing a phone call. We come to you on your schedule. Feel free to view our services and the areas we serve. Unless outside of California, special arrangements can be made for "out of area" Notarization needs. Tri Valley Mobile Notary strives to make every Notarization timely, accurate, and most of all-- convenient for the client. Our motto "Where the customer defines convenience" says it all-- we are here to serve you and provide the most accurate, convenient Notary Service in the area. Tri Valley Mobile Notary, established in 2005, focuses on providing mobile Notary services to clients in the Tri Valley area of San Ramon, Dublin, Pleasanton, Livermore, and Sunol. We are certified signing agents and belong to the National Notary Association. Services also extend to the entire Bay Area as needed by local clients. 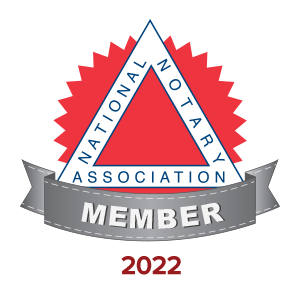 Standard Notary services include: Acknowledgements, Loan Documents, Jurats, Proofs of Execution by Subscribing Witness, Taking Oaths, Certified Copies of Power of Attorney, Protests, Living Trusts, DMV Affidavits and Travel Authorizations. We offer a mobile Notary services for the Tri-Valley area. Name the time and the place and we can quickly assist you with your Notary needs. TVMN equals convenience and contacting us is as easy as picking up a phone, sending a fax, email, or regular letter by US Mail. Please note the contact numbers below.